Members of the Maritime Safety and Security Team (MSST) in St. Marys, Ga., secure an area of the port as an HH-60 Jayhawk helicopter moves in on a tanker on which crew failed to provide identification. 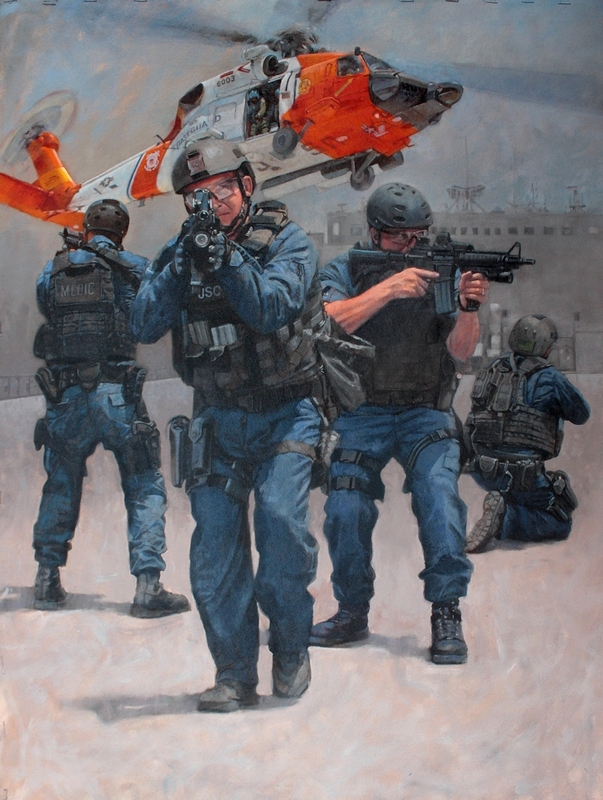 Poised in the doorway of the helicopter are crew members who will be dropped by vertical insertion onto the tanker to investigate whether the vessel is engaged in illegal activity or otherwise poses a threat. Each MSST member on the ground sights his MK-18 M-4 carbine rifle in a different direction.